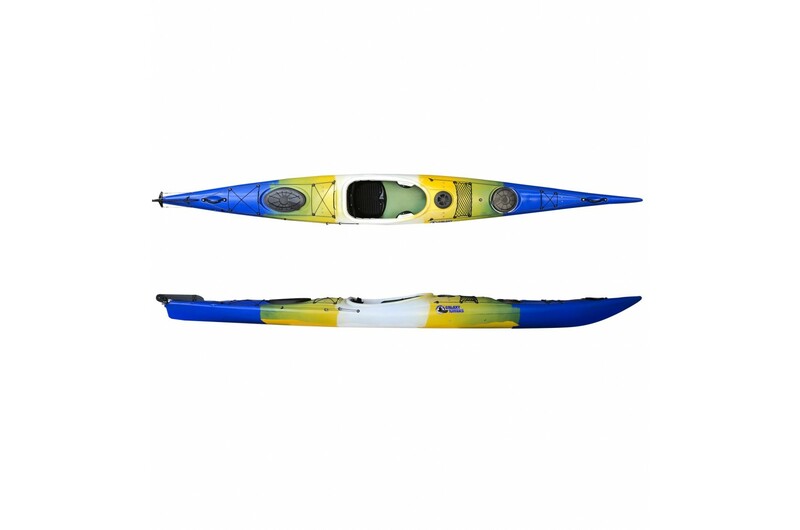 Are you looking for a touring kayak that allows you to broaden your adventures and get some incredible exercise during the process? 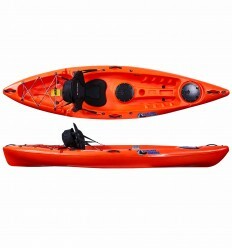 Our well-known range of sit-on-top kayaks are fantastic for fishing and for fun filled weekends; exploring waters around the globe. 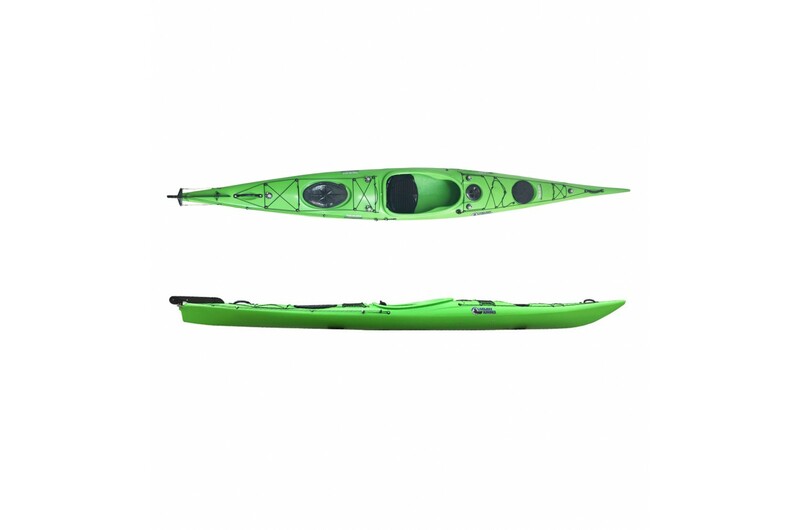 However, a sit-inside sea kayak is an altogether different watercraft that is ideal for traveling long distances and achieving high speeds on the water. 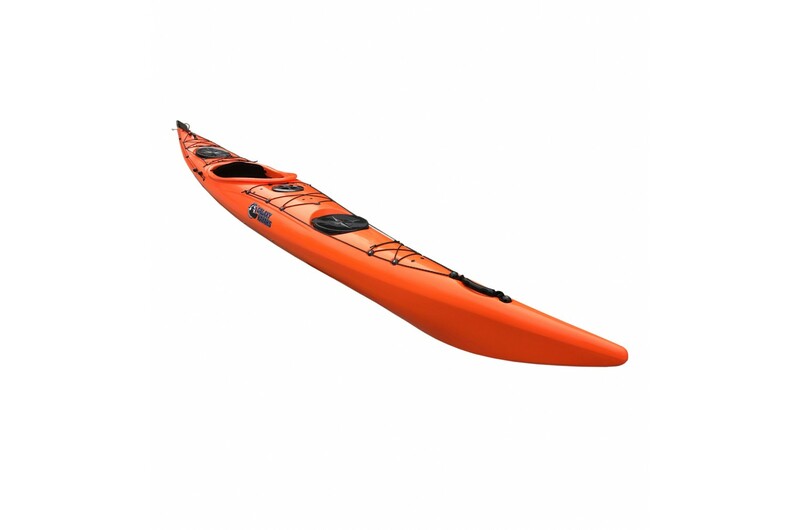 A kayak designed for the sea that challenges the boundaries of ocean play and opens up the waves to a world of fun and possibilities! 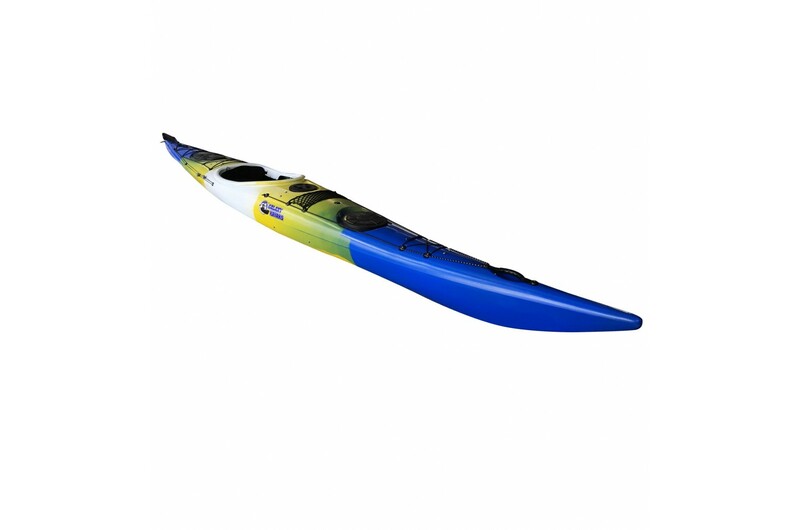 This kayak has been released for those of you who want to challenge yourselves and take your adventures further whilst doing sport during the process. 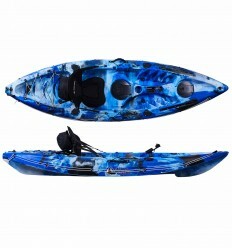 It’s ideal for people looking to travel long distances and even for fishermen who love to trawl. So, what is so unique and mind blowingly wonderful about the Galaxy Eskimo 16 we hear you cry? 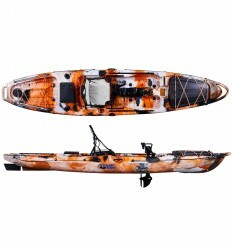 Well, at Galaxy Kayaks, we live by the motto “life is an adventure” so when it came time to release a sea kayak that stands by our company philosophy our team didn’t disappoint. 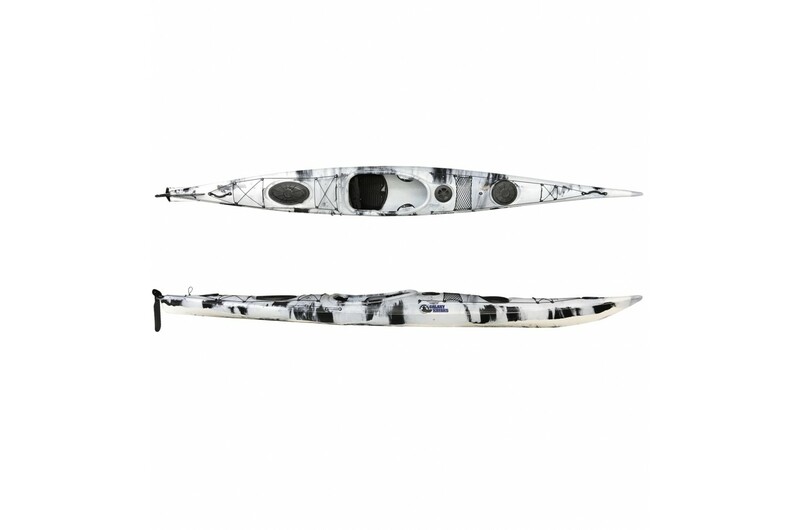 The Galaxy Eskimo 16 sit-inside is a long kayak at nearly 5 metres in length and has a super sleek, razor-sharp, v-shaped hull, which makes it an agile and dynamic ocean play and touring kayak to be reckoned with. 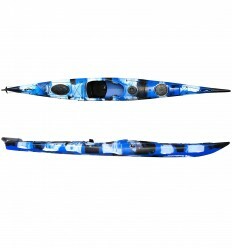 It skilfully and competently carves it’s way through the waves with the aid of it’s sturdy rudder. 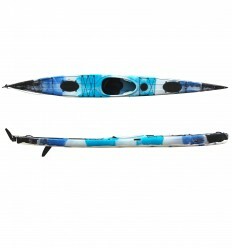 It is steady and well balanced and cuts a fine looking figure upon the ocean waves. 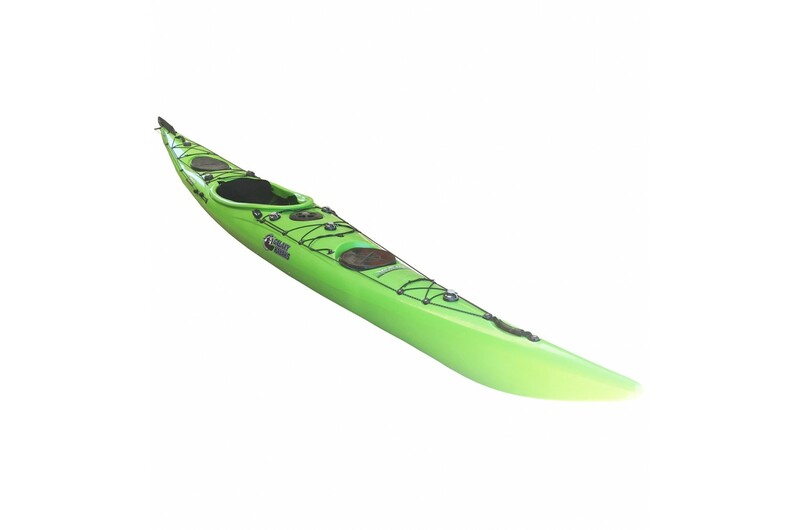 A new feature which we are very excited about is the addition of six Railblaza inserts and three Starports as standard that allow you to turn your kayak into a multi-functional vessel. 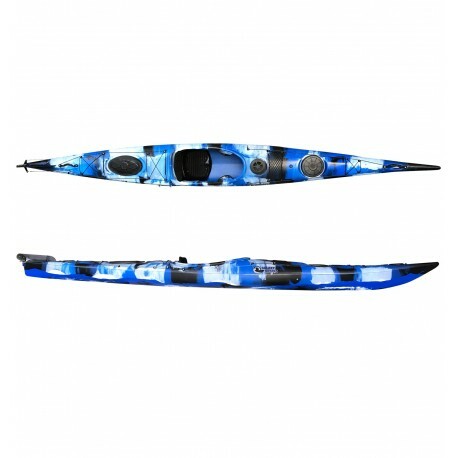 You can easily attach a huge range of accessories from Railblaza into the six Starport inserts. 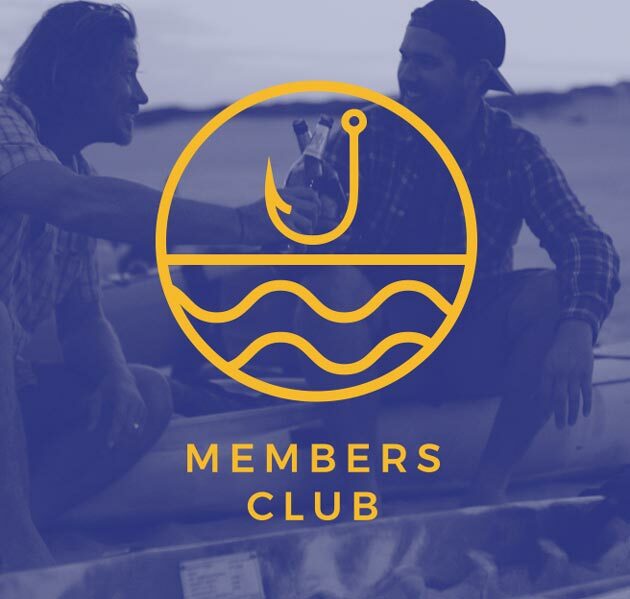 For instance Go-Pro cameras using the Cameraboom for capturing those monumental moments at sea, rod holders for trawling as well as flags and lights for safe crossing during those dusk excursions. 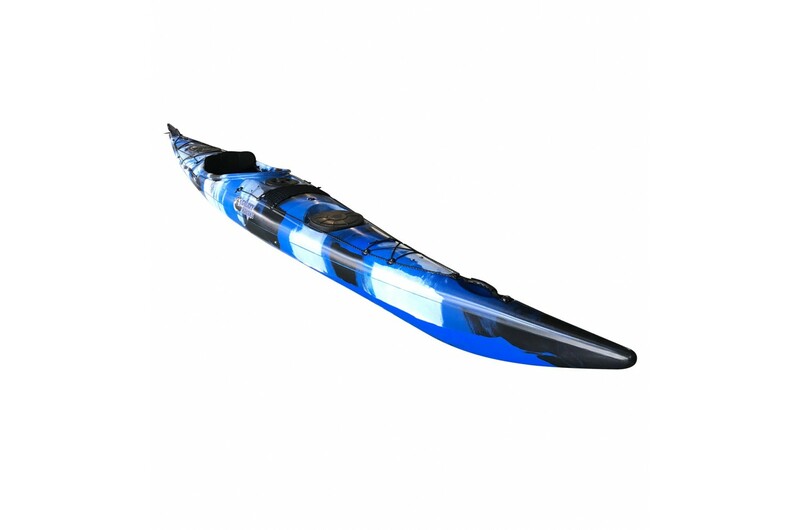 And this can all be done without having to drill into your hull. 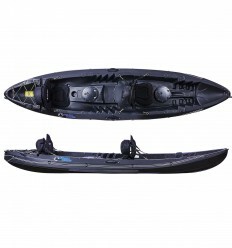 All the inserts are already installed and the kayak comes with three Starports as standard, so all you need to do is insert them and you’re ready to go! 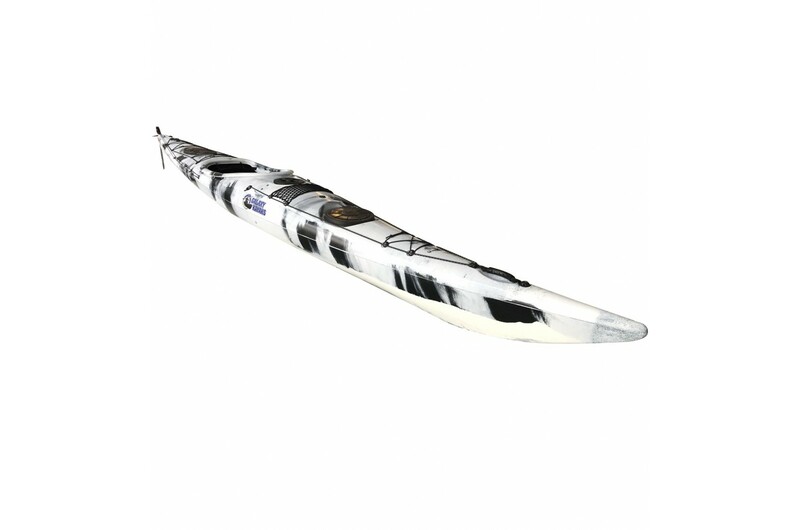 At 485cm long and 56cm wide, with a larger than average cockpit size of 81cm x 43cm, the Eskimo 16 is an excellent choice for people under 180cm and or 85kg. 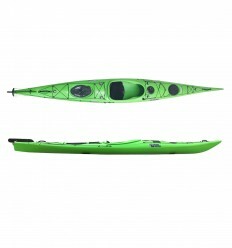 If you measure more than this then please look at our Eskimo 17 kayak. 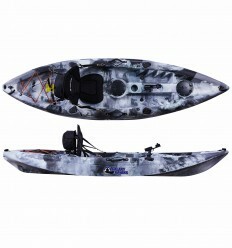 The size of the cockpit of your sea kayak is extremely important and relates directly to safety, comfort and control. A snug fit is a good thing. 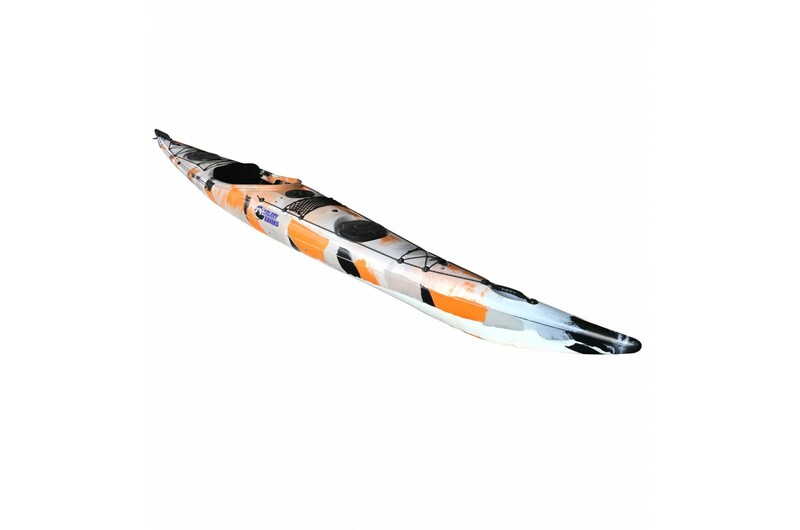 Your hips and thighs need to be in contact with the your kayak for edging and rolling, manoeuvrability and control. To give an indication as to the correct cockpit width for you, measure your hip width and leg length whilst sitting down. 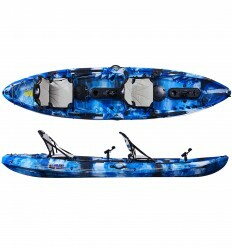 With it’s comfortable mould-in knee brace and adjustable backrest and adjustable pedal steering system the Galaxy Eskimo 16 Touring Kayak’s cockpit will help you to cope safely and competently with all the physical demands of ocean play. 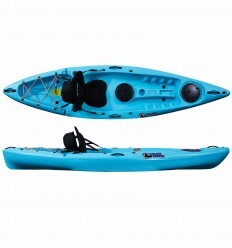 It also comes with a moulded fitting for a spray skirt as would be expected in a touring kayak. 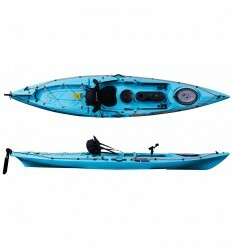 This sea kayak has a fitted rudder which is controlled by using the built-in, adjustable foot pedals which allows you to competently direct your sea kayak from left to right. 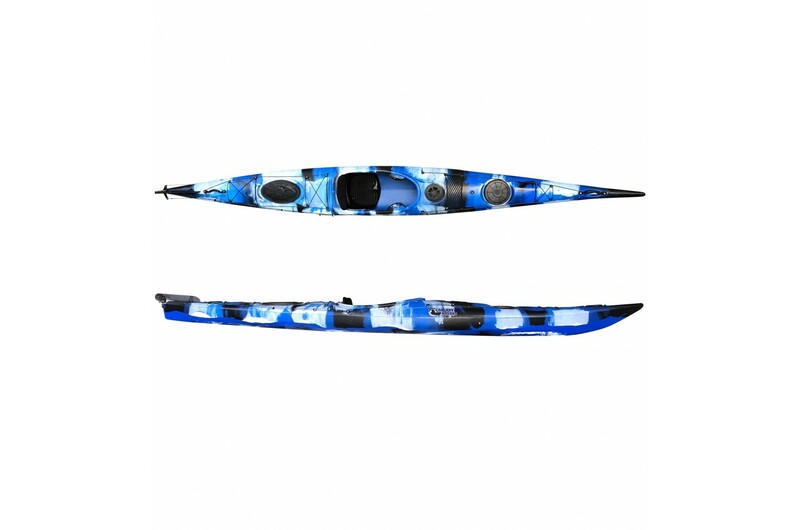 This feature, along with the Eskimo 16’s v-shaped hull, help you to navigate your way around and negotiate your way through all sea faring conditions with remarkable agility, executing deceivingly fast and efficiently sharp turns whilst still maintaining control, balance and speed. 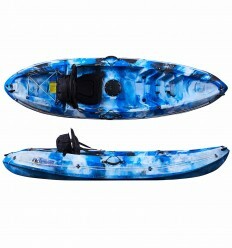 The Galaxy Eskimo touring kayak comes loaded with other fitted accessories that come as standard, including: two hatches for storage with rubber seals and one twist lock hatch with a splash-proof bag, lifeline and elastic bungee cords and deck balls and handles at either end to help you carefully transport your kayak around on dry land. 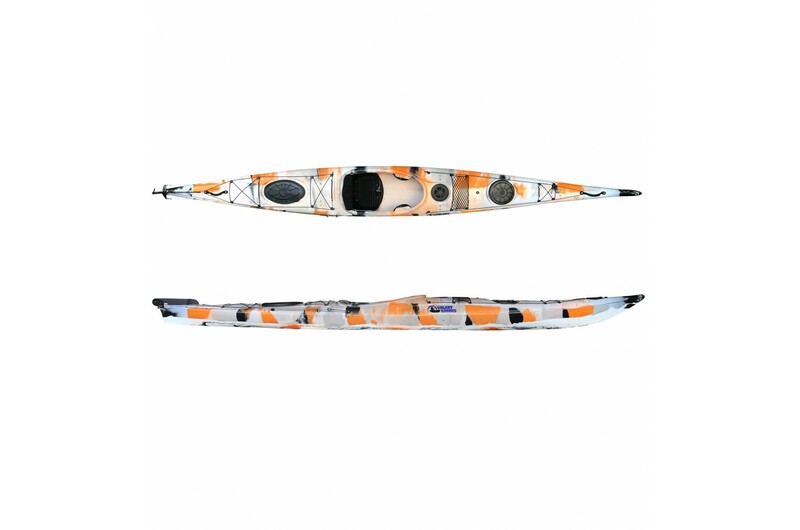 The Eskimo also comes with the ability to add a mesh netting for additional onboard storage as an extra accessory. 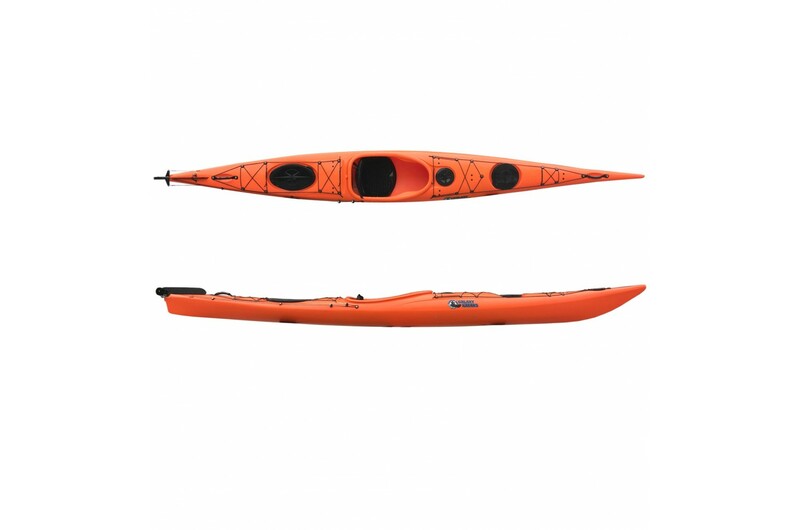 This all makes the Eskimo 16 an extremely desirable, functional and fun loving, sea kayak, that is that will keep you smiling for hours at sea! 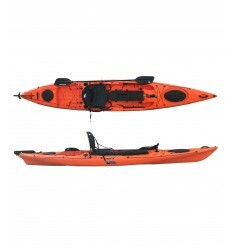 6 inserts strategically placed around your kayak. 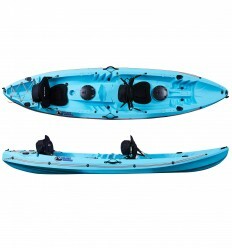 One insert is placed in the front of the kayak and one in the back of the kayak for accessories like the RailBlaza Camera Mount and Camerabooms using a Starport. Two inserts have been placed just in front and just behind the cockpit for things like rod holders (for trawling) or other types of Railblaza accessories that may be of interest. 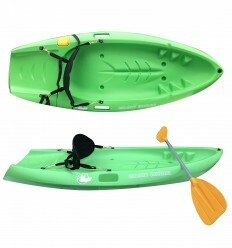 Eskimo seat: comes fitted in the kayak and has some padding to help with increased time on the water. 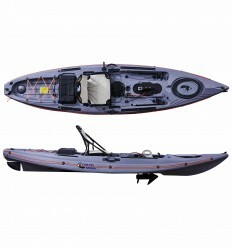 Front twist lock hatch: with splash proof bag for storing close to reach items that you want protected from the elements.